As data centers and enterprises struggle to manage the growing abundance and availability of data, Western Digital delivers a portfolio of dual-port 12 Gb/s Serial Attached SCSI (SAS) SSDs with capacity, performance and endurance options to help address the challenges of data access. Ultrastar DC SS200, our newest SAS SSD, delivers up to 15.36TB, double the capacity of prior generations. Our Ultrastar SAS series includes three endurance options to meet the requirements of a full range of applications and workloads. Data security features include self-encrypting drives based on TCG enterprise standards and FIPS validation. Ultrastar SAS drives are trusted by major OEMs and leverage decades of proven enterprise storage expertise in firmware development, design, and reliability. 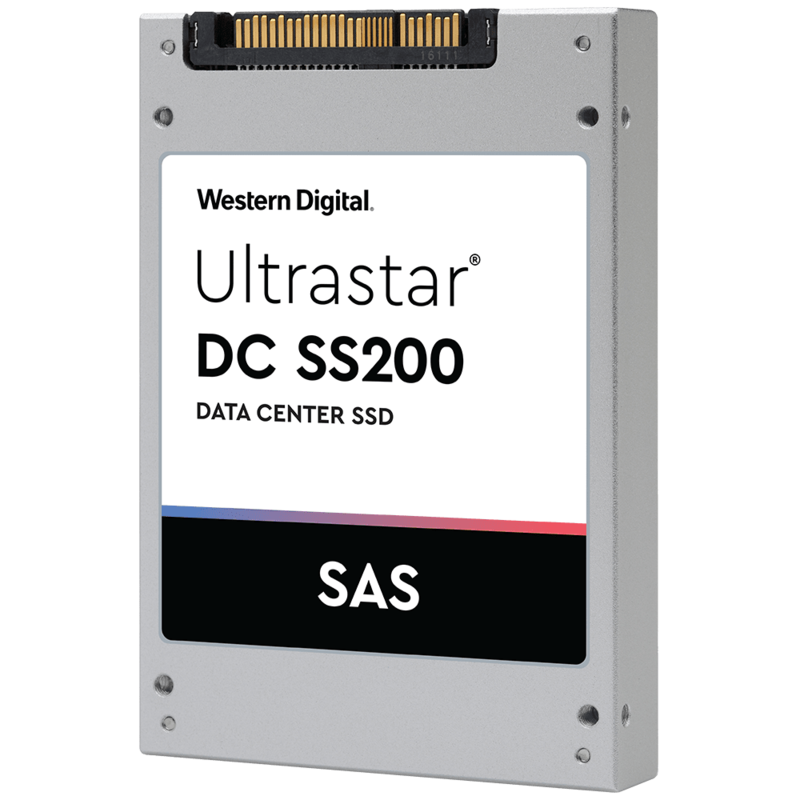 Ultrastar builds on its strong tradition of leading-edge SAS SSD products to deliver more capacity and better performance, combined with a continued emphasis on reliability to create global scalable, high-availability servers, and storage systems where data can thrive.